cover the current responsibility of Sales Director of BMW Italy. Sergio Solero replaces Neil Fiorentinos, current Managing Director of BMW Group Asia, who assumed the position of Managing Director of BMW Group Netherlands with headquarters in The Hague. 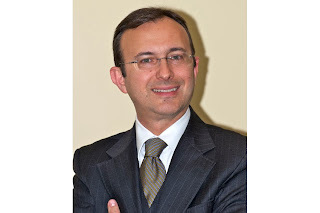 "We are looking forward to the appointment of Sergio Solero as the new Head of BMW Group Asia. His multidisciplinary experience will allow him to extend and strengthen our position to offer a better service to customers in the East Asian region. I take this opportunity to thank Neil Fiorentinos for the great contribution over the last three years," said Graeme Grieve, Vice-President BMW Group responsible for the markets in which there are importers of BMW Group. "We are very pleased with the promotion of Sergio Solero," said Franz Jung , President and CEO of BMW Italy SpA.